Chief Post Master General, Kerala Circle Smt . Sharada Sampath handing over a cheque for Rs. 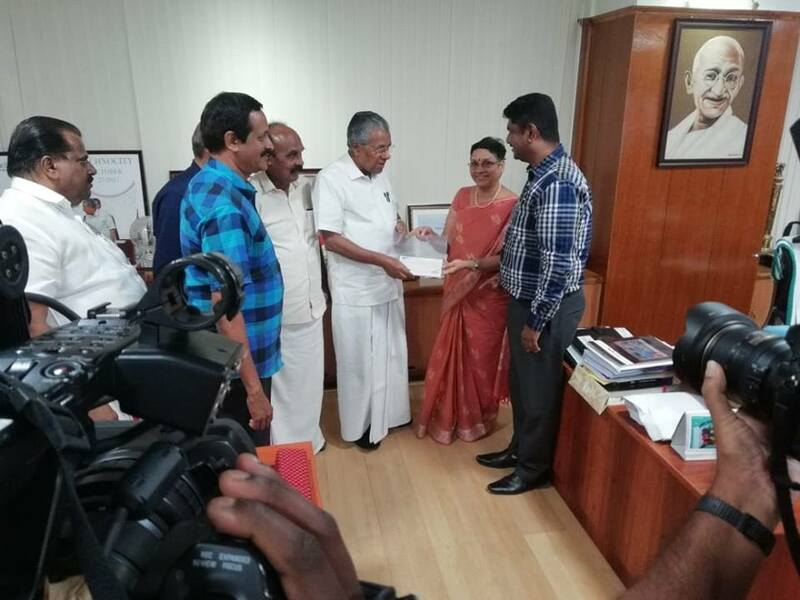 27 lakhs to the Chief minister of Kerala, Shri. Pinarayi Vijayan as our Circle contribution till date to CM's Disaster Relief fund.